This print is one of a series of prints based on impressions in the snow along our dirt road. It reminded me of the gates to Shinto shrines, entries into sacred space. 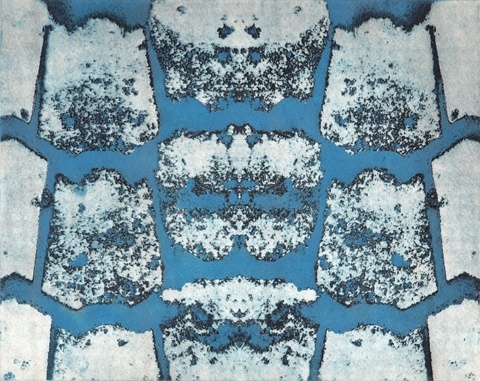 For this print, a plate inked with black was printed over an image from a second plate printed with blue ink.